Plant propagation is a wonderful way to make your garden stretch further. Not only is it cost-efficient, but it is also a simple process that will take your gardening skills to the next level. We provide you with a step-by-step guide on how to propagate efficiently and grow new and healthy plants. Growing plants from cuttings is a common propagation technique and involves taking a section of the parent plant, such as the leaf, stem or root. It is well suited to herbs and houseplants. The snake plant, daisies, lavender, bougainvillea and succulents are easily propagated via a plant cutting. Choose a healthy, established plant to take a cutting from. Cut off stems measuring roughly 30-60cm in length, about 2mm below the lowest node. Each cutting should have about 2-4 leaves at the top and 1-3 growth nodes beneath the leaves. Cut the stem into sections of about 10cm each. Dip the bottom end of the cutting into water. Fill a clean seedling tray with river sand and plant the cuttings in the tray. Water well. Place the seedling tray in bright, indirect light and water every second day. Plant propagation through root division separates the parent plant into smaller sections so that it forms new plants. This technique can only be done with plants that have multiple stems emerging from a central crown. Some of these plants include ornamental grasses and perennial flowers such as the hosta, catnip, daylily and viola. Carefully loosen the root structure of the plant. The plant will have many separate stems that are visible and still connected at the root. Using a sharp spade, neatly cut between the separate stems. Plant each division in soil as quickly as possible and mulch to conserve moisture. Return the original plant back to its pot or area in the garden and plant it at the same soil level it was prior to you removing it. Water original and each new plant well. Runners are specialised, horizontal shoots that give out adventitious roots at the nodes. Since their shoots spread horizontally on the surface of the soil, it makes it easy to use these to grow new plants. Peppermint, hen and chicken and the spider plant are commonly propagated this way, but this method is also ideal for strawberry lovers. Select good, strong runners from a healthy parent plant. Snip the runner between the nodes of the plant with a sharp knife or secteur. Transplant the runner into fresh ground or a container with a good potting soil. Water regularly for 2-3 weeks to ensure the soil is moist. 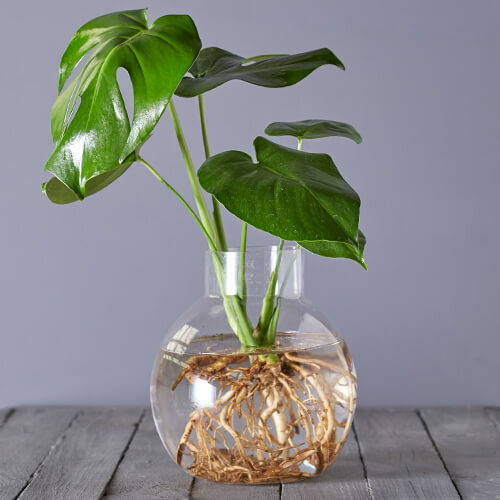 After 4-6 weeks, the plantlet will start to grow its own roots and eventually develop into its own plant. Plant propagation by seeding is by far the most common way of multiplying your plant collection. Generally, up to 80% of seeds will germinate in a favourable environment. This depends on environmental factors including water, light, oxygen and temperature. Obtain good quality seeds as these will eventually form good quality plants. Opt for edible nasturtium seeds, or select from a range of flowering, herb and veggie seeds for an eye-catching, fragrant summer garden. Remember that each plant has its own unique seed-starting requirements, so be sure to do some research and study the seed packet instructions before beginning the process. Use a container that is at least 10cm deep, and has drainage holes. Prepare potting soil that’s specifically mixed for seedlings – avoid soil from your garden. Prior to filling your container, moisten the planting mix, then fill the container by packing the soil firmly, carefully covering any gaps. Check the packet for instructions regarding how deep the seeds should be planted. Water the seeds and place the container in an area with good light. An optional step is to cover the container with plastic wrap so that it speeds up the germination process. Water and feed the plant with a good liquid fertiliser regularly. As your seedlings become plants, you can begin the transition of gradually moving them outdoors. First place them in a partly-shaded spot outdoors, then, after a few days, expose them to a bit more wind and sunshine. Pro tip: Plant propagation techniques take time to learn; some plants are easy to propagate, while others will present a few challenges. Through trial and error you’ll find what method and plants work best in your home and garden environment and will be enjoying it in no time!